Hello friends and welcome to DISNEY WEEK on our blog! We love Disney for so many reasons, and this trip was a year in the making. Our key goals for this trip were to see the Mickey's Not So Scary Halloween Party and get a better taste of the Food and Wine festival (pun intended). What we didn't plan on was the fact that Hurricane Matthew was coming! More on that later this week. We were so blessed by our parents who allowed us to stay at a DVC resort right after we left New Orleans. 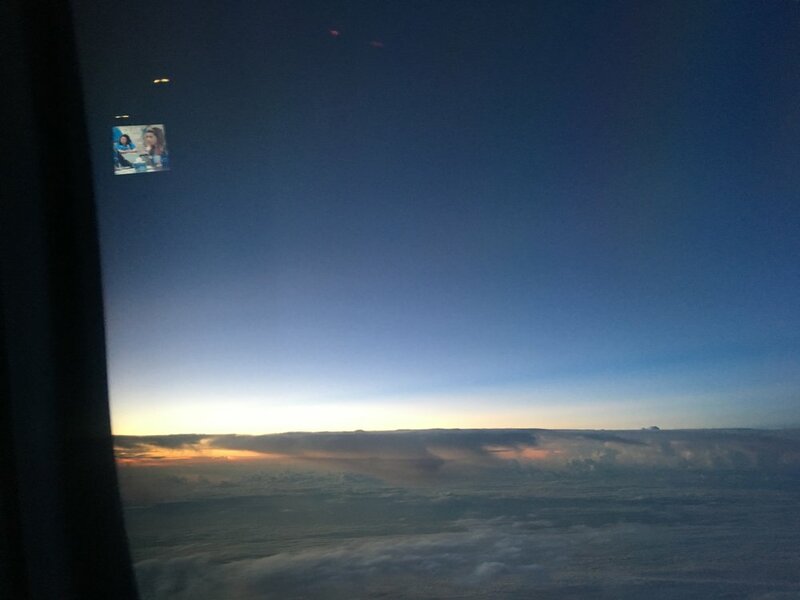 Had we not had this time, I think our trip would have turned out much worse with the impeding storm. Today's video documents getting to Disney. 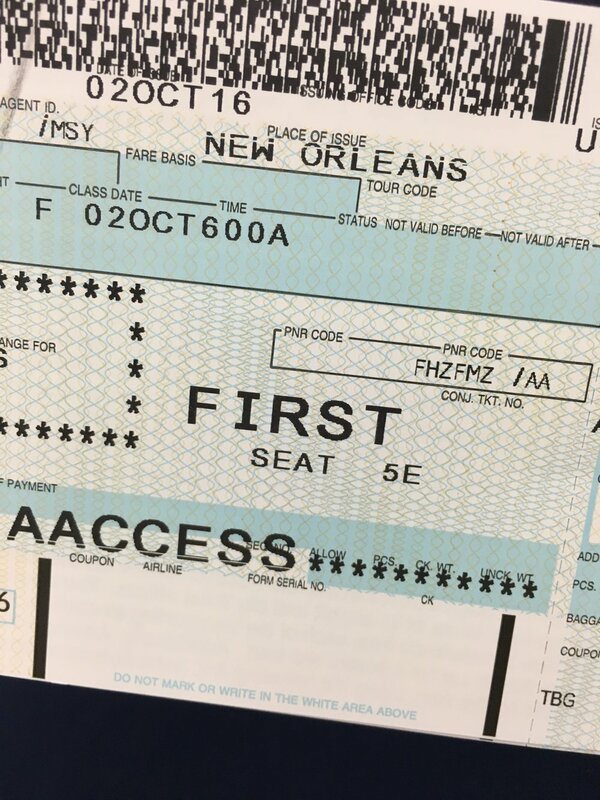 We got to sit in first class (as a non-rev! Crazy!) and we made our way to Saratoga Springs Resort. It's beautiful! 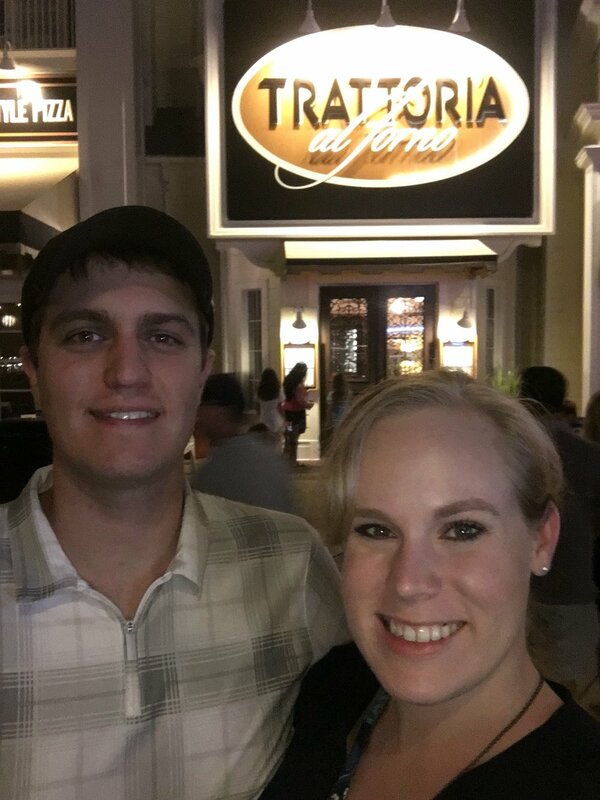 We got a chance to settle in, swim in the pool and then go to dinner at Trattoria al Forno. We got a gluten free Chicken Parmesan to share (another thing I love about Disney!) 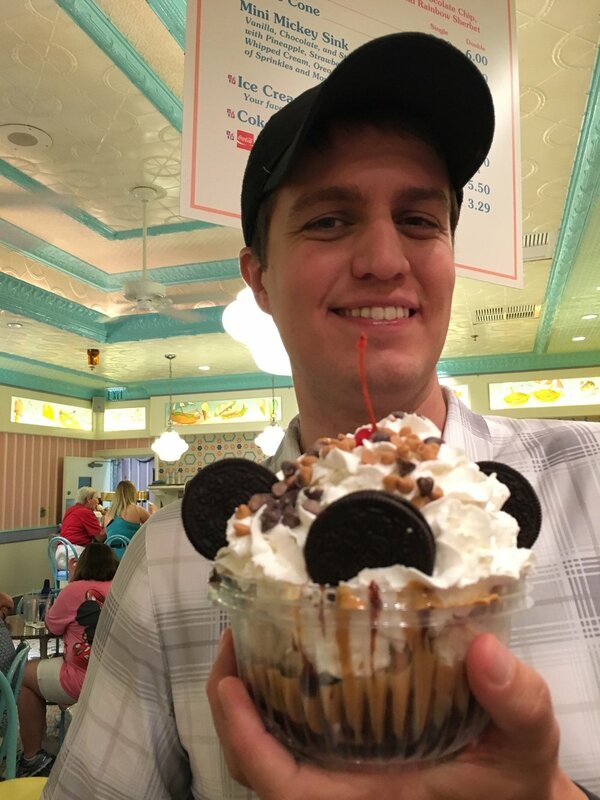 and then washed it down with HUGE ice cream sundaes from Beaches and Cream. Watching the fireworks go off from nearby EPCOT wasn't a bad touch either. :) Pictures are below the videos! Check out the 80 second highlight reel below! For the full shebang, watch the full recap below!